I didn't watch the last second of the game on Sunday. I don't know what's going on with me. My whole identity as a sports-hating artsy-fartsy chick has been thrown into question. 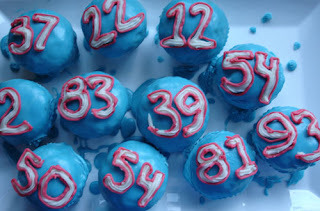 I can't blame high school for my hatred of all things football. It's not like there were a bunch of mean jocks who used to torture the Fat Kids. I had Matt Damon for that :-). In the 80's in Cambridge, football was not so cool. They had to practice on the Cambridge Common. Now, they have a fabulous stadium over by the Alewife T station. But back then, they weren't All That. So, I just thought sports were boring, over rated and unimportant. Part of me still thinks that. I've watch the Pats loose two other superbowls in my lifetime and I didn't loose any sleep over it. This year, something has changed. This time I was up gnashing my teeth on Sunday night and no amount of melatonin could remedy it. I'd close my eyes and all I could see was them twisting Brady's arm behind his back and pushing him to the ground. Or that guy catching the football on his head. But after a couple of days I got over it for the most part. Then Thursday night, I had a dream that we went and watched the last second of the game on the Tivo. They had cleared the field and Eli Manning put his knee down and began to sing. I don't remember what he sang, but both teams joined in and sang the chorus. Perhaps it's artsy-fartsy part of my brain trying to make peace with the part that loved watching the Patriots all season. Not sure what it could have been, but at that moment, Eli Manning sang show tunes in Arizona. It wasn't because we weren't wearing our Jerseys all day. 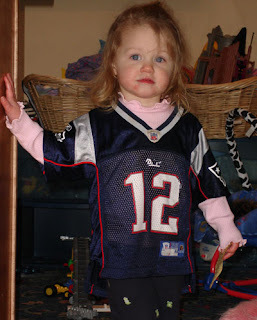 It must have been that F*cking red sweatshirt that Bellichick was wearing. There's no other explanation. 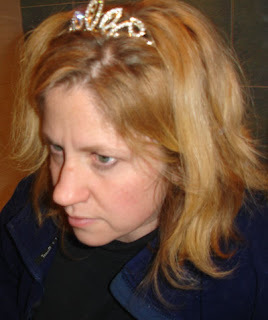 My kids put this tiara on me on Thursday afternoon. And I just couldn't bring myself to take it off.